I have been supplying jewellery retailers across the UK for over 27 Years. I learnt my craft from the best in the business, specialising in pearls under the mentorship of Michael Hakimian and becoming a diamond expert under Brian Chalfen. Providing the right product and the best service to jewellers has defined my working career and kept me in tune with the needs and concerns of jewellers nationwide. Now the internet has motivated me to make a dramatic career change. Technology has transformed the way people shop. It is not just jewellery retailers that are affected – shops from all sectors are disappearing from the high street every single day. Most retailers perceive the internet as a rampaging bull, destroying everything in its path and creating a new reality, but this need not be the way. There are three main things a modern retailer must embrace to thrive today: Personalisation; omni channel selling; and the in-store experience. These catchwords are touted around at every retail conference I have attended; however, the reference case is always a single brand entity such as Levi’s or Starbucks, or a large department store like John Lewis. No one ever suggests how an independent jewellery retailer can embrace these ideas. At the end of each conference, I see a room full of retailers nodding their heads in agreement with the speaker but taking very little action to transform their own business. Many in the industry would like to blame the retailers, pointing out how reluctant most have been to react to change. After all, the warning signs have been there for years. As a supplier, I feel we need to shoulder some of the blame as well. It is just as important for us after all, and it’s time we suppliers stepped up to do our part. How can I expect retailers to change if I am not willing to change myself? And why should retailers have to shoulder the burden of this change alone? I believe that within the retail world, jewellers are in a very fortunate position. Unlike TV’s or books, jewellery is emotive, unique, expensive and there is a conspicuous lack of consumer knowledge about the product. All this should play to the strength of a bricks and mortar retailer, making staff training more important than ever before. In addition, few sectors can claim the status of ‘belonging to a family’ but the local jeweller is often referred as ‘the family jeweller’. This status is earned through trust, and this trust will often start with the sale of an engagement ring. The engagement ring sale is frequently the most important sale an independent jeweller can make, but let’s look at it another way, how many other jewellery sales are lost if this sale is not made? Sales of engagement rings are increasingly being made via the internet. Certificates have commoditized diamonds and web traders are selling certificates rather than service. Most retailers will be shocked to learn the number of diamond rings sold by the leading internet retailers. To stop this flow of business away from high street retailers, we must come back to the three points mentioned earlier – personalisation, omni-channel selling and in-store experience. Web stores offer the ability to create your own ring from the comfort of your living room. By not holding physical stock, they are able to be more competitive whilst at the same time presenting a seemingly unlimited choice. It’s not hard to see the appeal but there is strength in bricks and mortar as demonstrated by the fact that 77 Diamonds has a physical showroom in Mayfair and Blue Nile has opened six bricks and mortar shops across the US. The fact is that to the major internet jewellers, it makes little difference whether the ring is purchased in the store or online. On the surface, it appears that internet-first retailers have the supply chain stacked in their favour. As a diamond ring manufacturer, I wish to do my part to change this – level the playing field if you will. 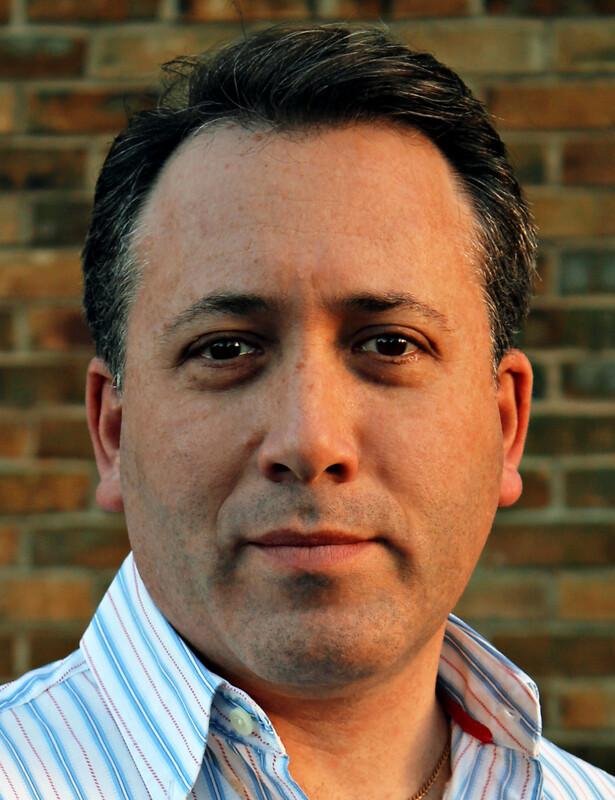 I gave up my role as managing director of Chalfen of London to start Diamnet and change the way diamond rings are distributed. By disrupting the role of the traditional diamond ring manufacturer, I aim to make it easier for retailers to sell, and this starts by bringing the supply chain closer and making it easier to buy. 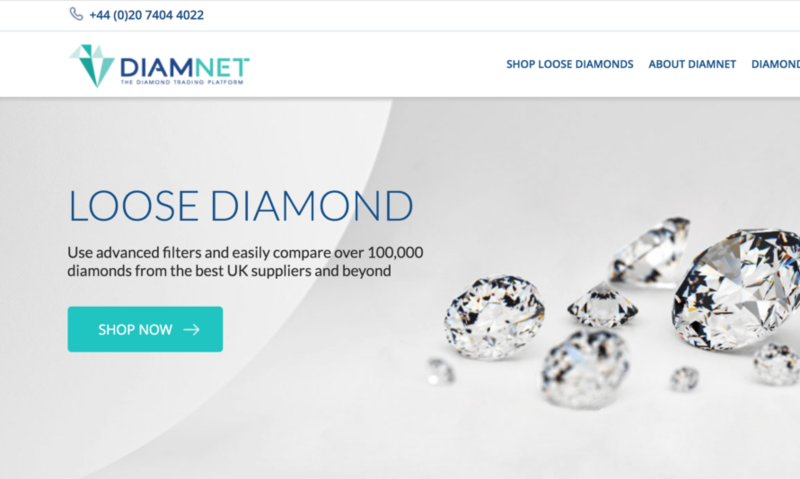 The Diamnet website is a portal offering over 100,000 certificated diamonds from different suppliers. 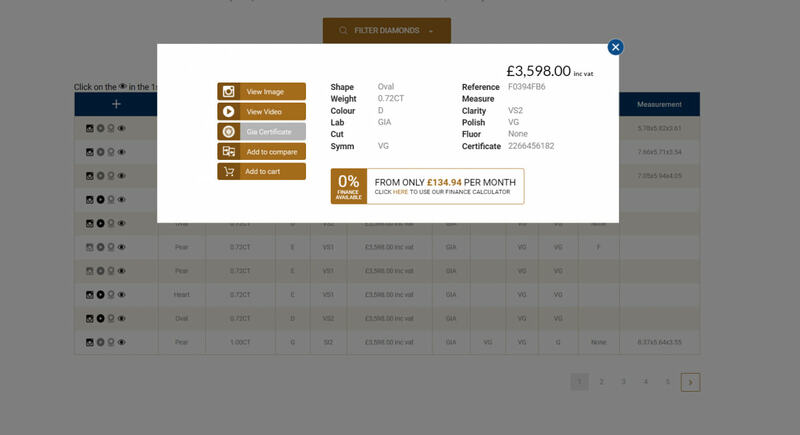 Access to Diamnet means the retailer has instant pricing information and can offer the client a selection of stones on-screen, with appro a follow up option. An aggregation of mounts is next and will be added to the Diamnet portal very soon. 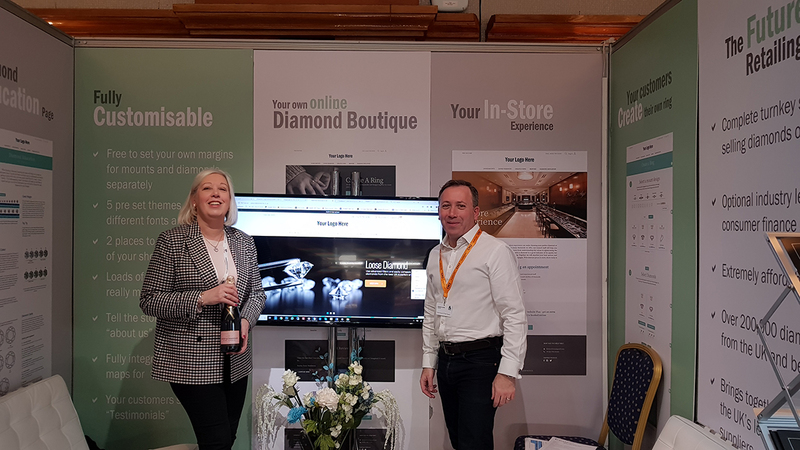 Diamnet is free for the trade to sign up and it will make a jeweller’s life easier, especially during the busy weekends, when the usual suppliers are unavailable. Over the coming months, we will launch tools to show retailers how to best manage personalisation, omni-channel selling and the in-store experience. With Diamnet’s tools, shopping for jewellery in-store can become a far more interesting and exciting experience than buying online. Diamnet will also give retailers the tools to compete online and achieve all this whilst investing less in stock. For more details, you can sign up for free on www.diamnet.co.uk.